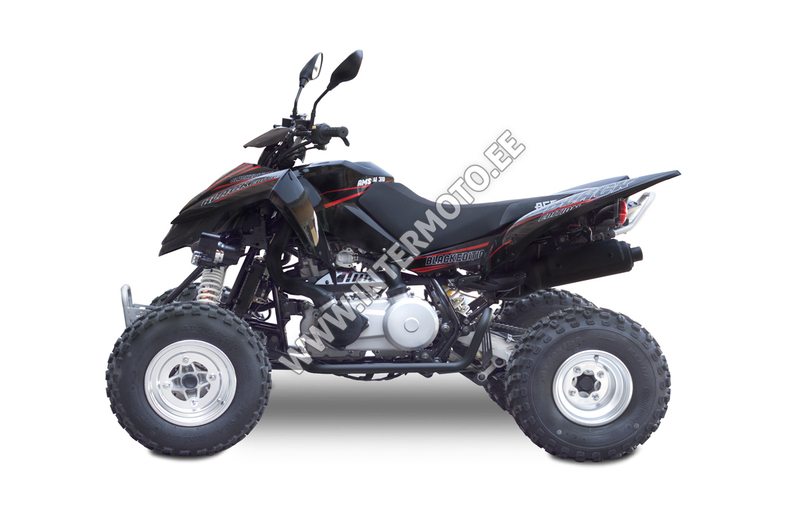 The fast and reliable TOMAHAWK 400 can play any terrain, ride a sporty ride and enjoy a leisurely weekend ride through the countryside. 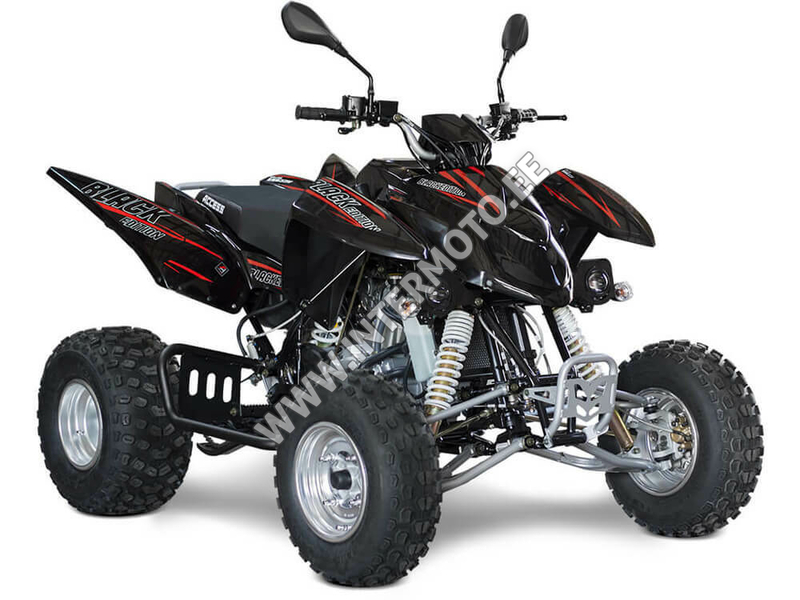 The stability and dexterity of the chassis, as well as the performance of the reliable four-stroke liquid cooled SOHC single cylinder, will be appreciated not only by beginner but also experienced riders. 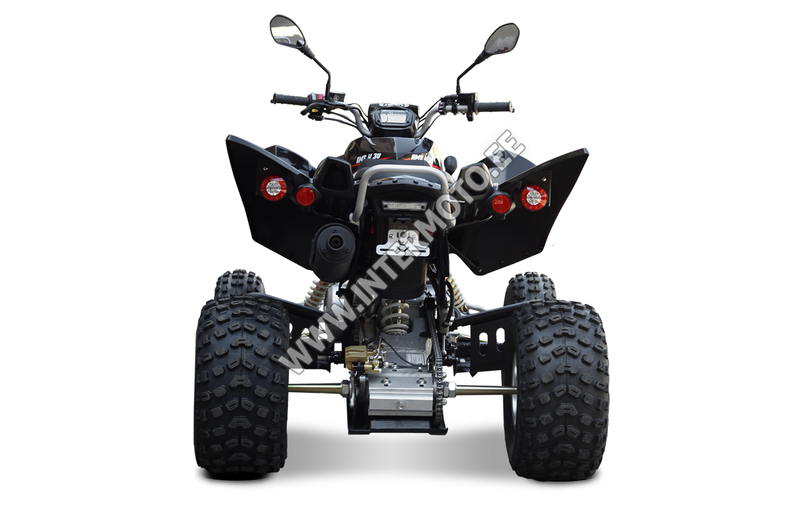 Sporty tires combined with a low center of gravity and a wide gauge give this quad bike the optimal traction under all conditions. Due to its reliability, robustness, manageability and serviceability, this model is a great choice for those interested in a sporty quad bike at a very reasonable price. Dynamic, four-stroke, liquid-cooled, two-valve single-cylinder, 359.3 cc, has a sporty ride and cool weekend rides in any terrain. Robust design guarantees high reliability and long life of all components. Reliable electrical start. The two-speed CVT automatic CVT transmission of the well-known Japanese manufacturer FCC ensures perfectly smooth driving in all modes and on every terrain without the need for gearing, so you can concentrate 100% only on steering. 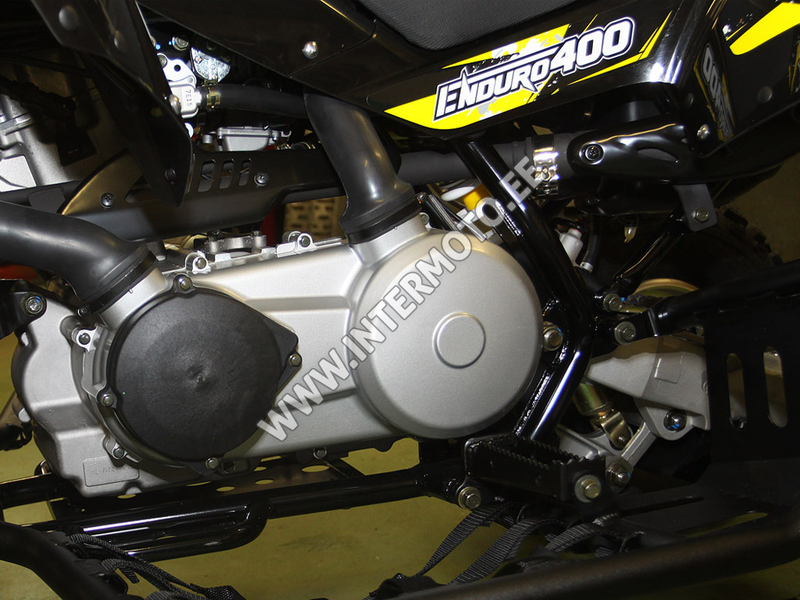 Another great advantage of this gearbox is the high output torque at very low revs. 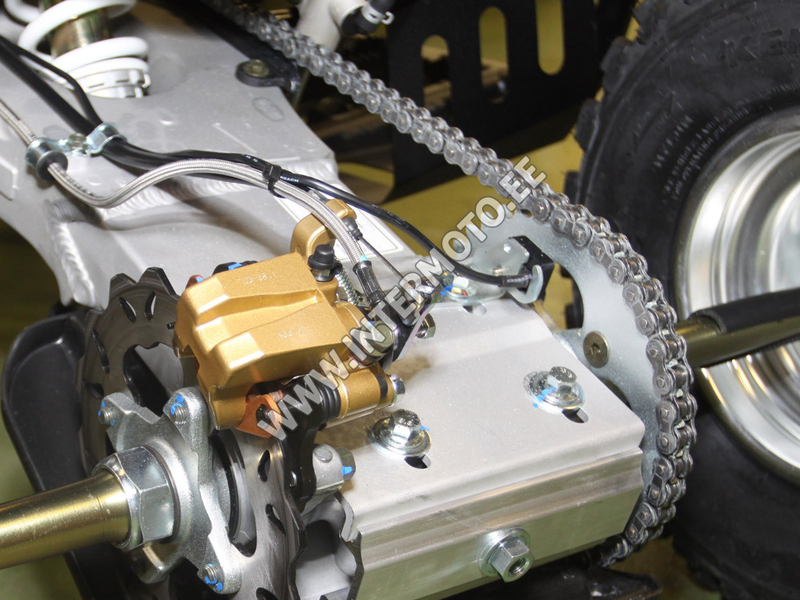 Transmission of power to the rear axle provides a chain drive. Due to its extraordinary driveability, Access Tomahawk owes a high-quality suspension and rigid low-center steel tube frame. 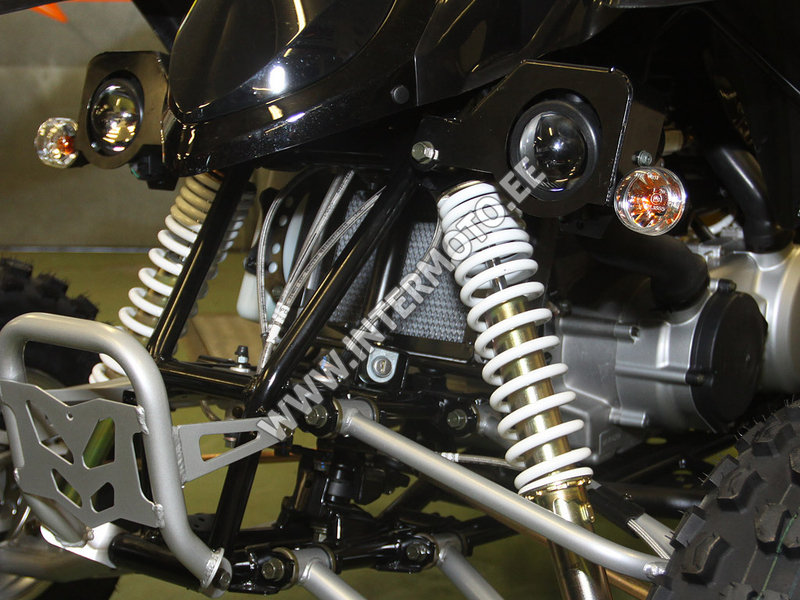 The front wheels are independently hinged in wide double A-arms, the rear axle is suspended by a central spring and damping unit with swinging. 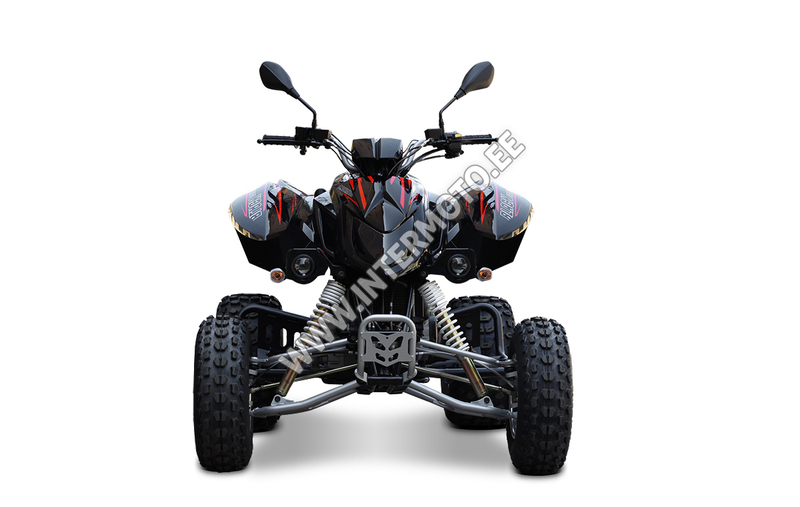 The result is a sporty wide easy-to-use chassis with great cornering stability, lightweight and precise steering and tolerant driving behavior. The outstanding Kenda light tires are renowned for their versatile grip for aggressive driving in any terrain. Directional pattern ensures perfect shot at high speed. Wide deployment of shrinking blocks allows precise control. Tires are made of high quality aluminum discs with reinforced edges and long life.